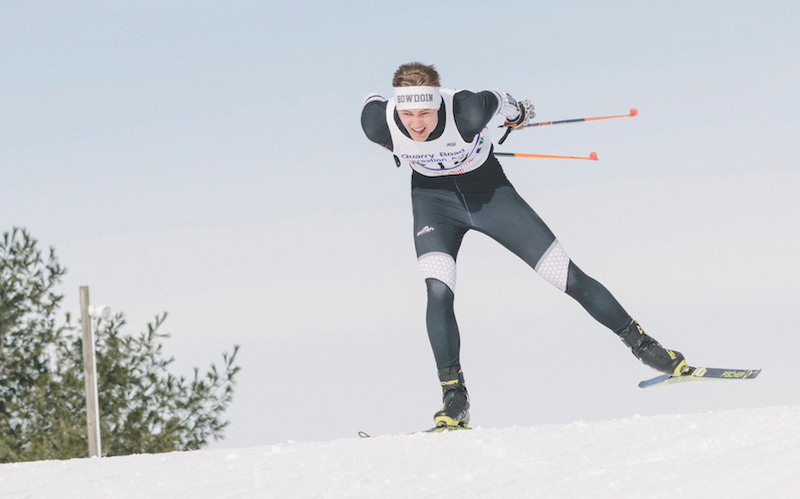 Led by coach Nathan Alsobrook ’97, the Bowdoin Nordic ski team is quirky, competitive, and above all else, fun. 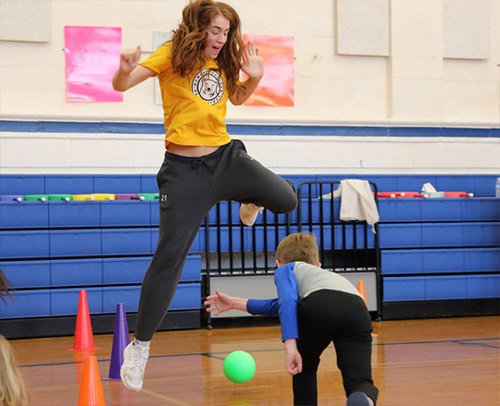 Never before seen in nature: Polar Bears battle Eagles in intense dodgeball matchup! 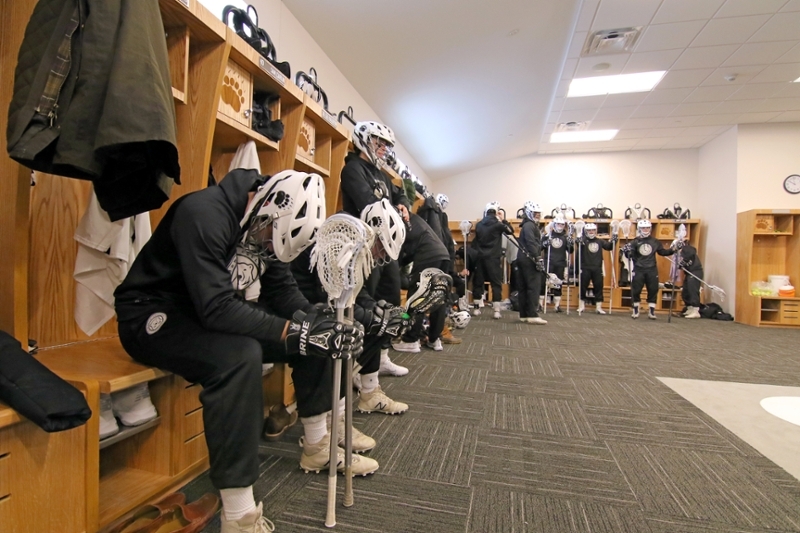 Brand new locker rooms and other facilities greeted Bowdoin athletes when they arrived to play at Whittier Field recently. The opening of the new support building marks the completion of the Whittier Field renovation project. 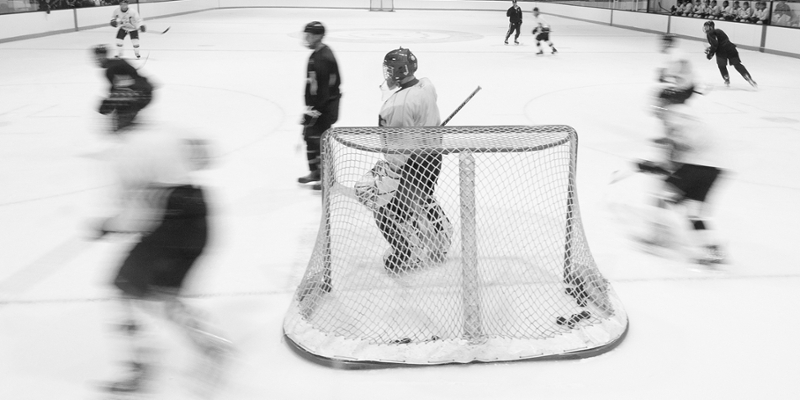 Author Steve Hardy ’70 draws on twenty five years of research for his book about the enduring appeal of ice hockey, and how a Canadian pastime went global. Two huge games this weekend headline one of the busiest Saturdays on the Bowdoin athletics calendar. 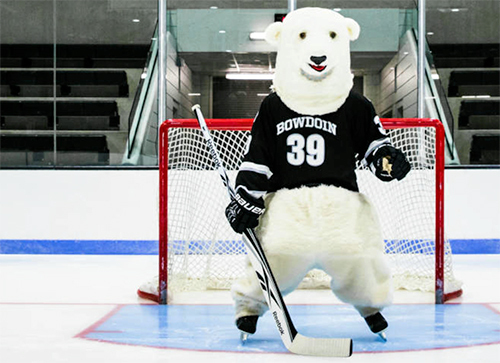 The Bowdoin Athletic Department enjoyed a fantastic start to the 2018-19 season, with athletes excelling in numerous sports. 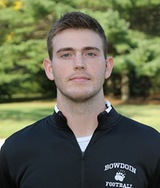 Bowdoin senior Cameron Rondeau has been named a semifinalist for the 2018 William V. Campbell Trophy. The national award recognizes the top football scholar-athletes in the nation. Head coach Birney is stepping down after twenty-two years at Bowdoin. 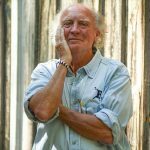 An endowment fund for the rowing club, established in his honor, has raised more than $250,000. Birney is being succeeded by assistant coach Doug Welling. 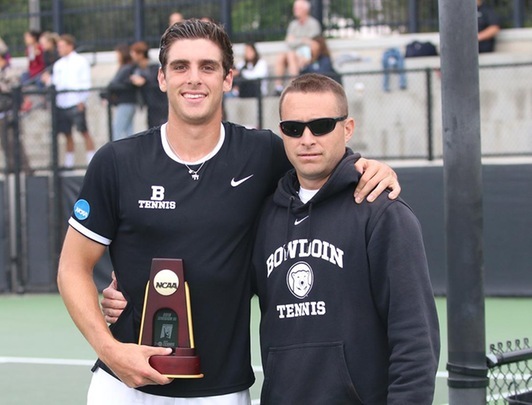 Bowdoin junior Grant Urken (Purchase, N.Y.) has won the NCAA Division III Men's Tennis singles championship, becoming the first Polar Bear tennis player to win an individual national championship in school history. 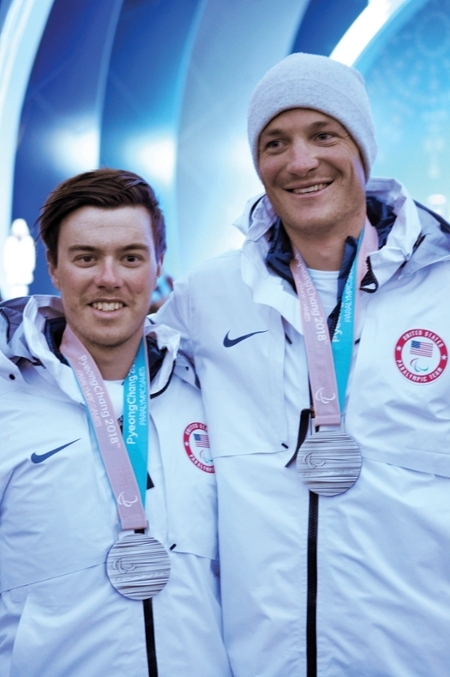 The computer science and math student was among seven Winter Olympians invited to throw out the opening pitch at Boston’s Fenway Park April 5, 2018. Bowdoin's magical run through the NCAA Tournament came to an end on Saturday evening, as the Amherst College women's basketball team repeated as Division III champions in a 65-45 victory at the Mayo Civic Center. 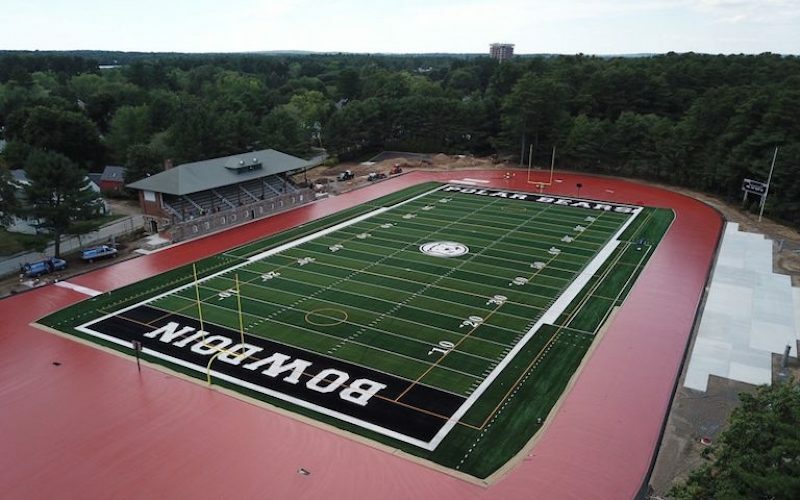 The first phase of renovations to Whittier Field and Magee-Samuelson Track will be complete before September 23, the day Bowdoin's football team plays its first home game of the season. 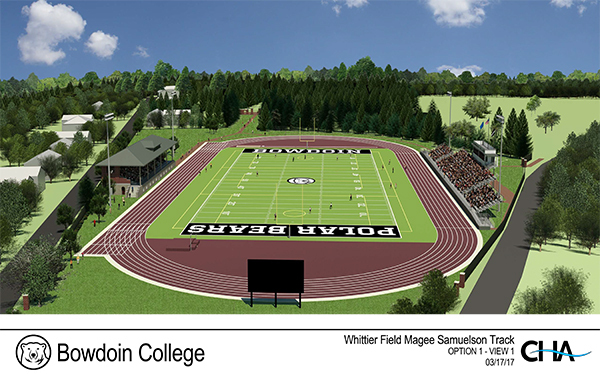 Bowdoin College today announced plans to renovate historic Whittier Field, one of the most storied football venues in the nation, and Magee-Samuelson Track, named partially in honor of Olympic champion, Maine native, and Bowdoin graduate Joan Benoit Samuelson ’79. 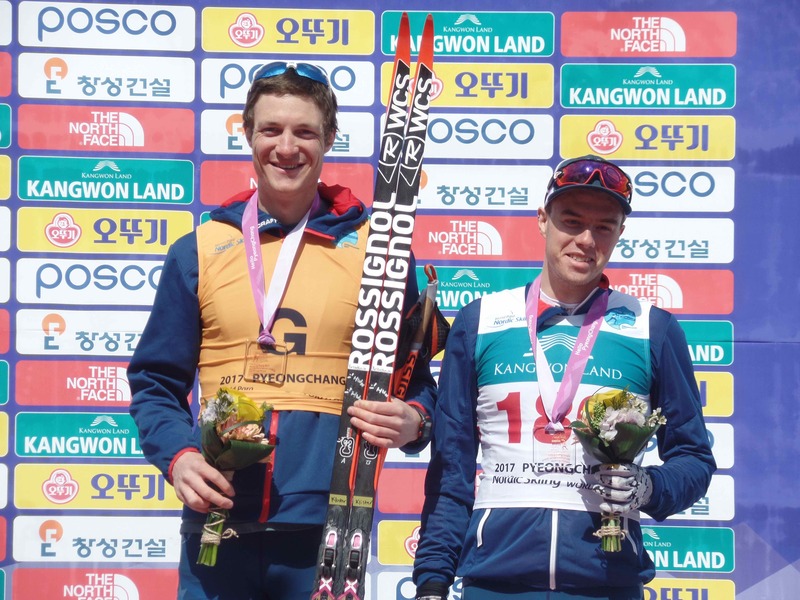 Para Nordic skier Jake Adicoff '18 won the first race of his career at the Pyeongchang 2018 Paralympic Winter Games Test Event and World Cup, in the cross-country skiing long distance, visually impaired event, beating Sweden’s World Championships silver medallist Zebastian Modin. Momentum has been building within Bowdoin’s curling team. A legend on campus and in his profession turns 95 today.